I’ve mentioned before that the prehistory of Alaska is much less well-understood than that of many other parts of North America, but there have been some interesting recent efforts to expand the amount of data available and the interpretations it can support. One of the most interesting is the excavation of the Nunalleq site in the small, remote community of Quinhagak. This project is distinctive in that it has been driven primarily by the local community, which saw that the site was in danger of being lost from accelerated erosion (driven in part by climate change). In partnership with archaeologist Rick Knecht from the University of Aberdeen in Scotland, local people led by the village corporation, Qanirtuuq Incorporated, worked to excavate this extremely well-preserved late pre-Contact site, which dates to the sixteenth and seventeenth centuries AD. The number of elaborate, well-preserved artifacts is astounding, and it is by far the richest site of the ancestral Yup’ik people of southwestern Alaska known to date. Even more interesting, the artifacts are being displayed in a newly opened museum right in Quinhagak, rather than being stored in a distant location where they are not accessible to the descendant community. This not only gives the local people an opportunity to understand and access their heritage, but it also provides a tourist destination that can bring in much-needed economic activity to this very poor part of the state. This isn’t a model that can be replicated everywhere, but it’s a fascinating success story of archaeological research and heritage presentation driven by a local indigenous community in cooperation with outside academic experts. Definitely worth noting. The big story in the news these days is of course Hurricane Harvey, which has been battering the Gulf coast and adjacent areas of Texas and Louisiana for days now. While it has so far probably done the most damage in Houston, with record rainfall leading to massive flooding in one of the country’s biggest cities, Harvey first came ashore further south, near the small town of Rockport, Texas just north of Corpus Christi. Rockport was very severely damaged by the wind and rain, of course, and has gotten quite a bit of media attention for that. Rockport has another claim to fame, however, at least for those of us interested in archaeology and prehistory: it is the namesake of the Rockport Phase, an archaeological complex that existed on the central part of the Texas coast in the late prehistoric period and is generally thought to be directly ancestral to the Karankawa people who occupied the same area at European contact. The Karankawa are among the better-documented of the many cultural groups that occupied the Gulf Coast, partly because of the detailed account of them left by Álvar Núñez Cabeza de Vaca, who was shipwrecked in this area in 1528 and spent several years living with the natives here and further west as he made his way back to his Spanish compatriots in Mexico. Archaeological research over the past few decades has both confirmed some aspects of this and other historic accounts and added additional information about the culture history of this area. The Rockport Phase is characterized by a distinctive type of pottery, gray in color with thin, hard walls and a sandy paste. It can be plain (i.e., undecorated), incised, or, most distinctively, decorated with the black asphaltum found in the Gulf area and associated with its extensive petroleum deposits. The beginning date for the Rockport Phase varies in the literature but is in the range of AD 1000 to 1250; the variation is probably due to the fact that Rockport is clearly continuous with the previous Late Archaic culture of the same area. In general, however, the Late Prehistoric period on the coast is defined by the appearance of the bow and arrow and pottery, both of which seem to have reached the central coast around AD 1000 from the north. (Note that this makes at least the beginning of Rockport roughly contemporary with Chaco Canyon far to the west.) As noted above, Rockport is also clearly continuous with the historic Karankawa, and Rockport pottery has been found on some early historic sites. While pottery is often associated with agricultural people, agriculture was never practiced on the prehistoric Texas coast or, indeed, most of the interior areas of prehistoric Texas. The Rockport people, like their neighbors in all directions, were hunter-gatherers, and they appear to have had a subsistence system based primarily on the rich aquatic resources of the coastal estuaries but with seasonal movements inland to hunt terrestrial game and gather plant resources including pecans and the fruit of the prickly pear cactus. The stone tool assemblage of the Rockport Phase, at least from around AD 1250 on, was very similar to that of the inland groups in central and southern Texas, all of which were part of the Toyah Horizon distinguished by the use of Perdiz arrow points. This widespread lithic complex is generally thought to be associated with the hunting of bison, which appear to have rapidly spread south from the southern Great Plains into central and southern Texas during the thirteenth century AD, possibly in response to a drying trend beginning a couple centuries earlier that expanded the grasslands favored by bison. Despite Rockport use of this lithic complex and the presence of bison bone in some Rockport sites, however, stable isotope studies of human remains from cemetery sites on the coast that are contemporary with Rockport have not shown evidence that bison was a substantial part of the diet, which seems to have been heavily based on fish and other marine resources. More research may clarify this apparent clash of different types of evidence. Speaking of those cemeteries, they area also unusual among hunter-gatherers but quite common in prehistoric Texas, in both coastal and interior areas. Cross-culturally, use of cemeteries rather than isolated burials by hunter-gatherers tends to be associated with “packing” into small territories due to high population densities, as well as with “intensification” of production of subsistence resources, especially aquatic ones. Some archaeologists have proposed theories linking intensification, which includes but is not limited to the development of agriculture, to increased population density due to highly productive resources in certain areas, which also leads to packing into smaller territories. Some of these theories further predict that this will mean less use of terrestrial hunting and increased use of aquatic resources where they are available, and plant resources where they are not. This type of theory has been tested in Texas and found to largely but not completely explain the distribution of cemeteries and other signs of packing and intensification. In the Rockport area, which clearly had a relatively high population density and depended heavily on the aquatic resources of the estuaries, the theory seems to work. It also works for the Rio Grande Delta area to the south, where the populous Brownsville Complex had its own type of pottery as well as various cultural influences from and trade ties to the Huasteca region of northeastern Mexico to the south. It doesn’t really account for the presence of cemeteries and other signs of intensification in the more sparsely populated areas of central and western Texas, however, where hunter-gatherer populations are thought to have been much lower. Clearly more research on this issue is required. Many of these characteristics are associated with “complex” hunter-gatherers such as those of the Northwest Coast, but I doubt any anthropologist would describe even the higher-density groups on the Texas coast as complex in that sense. It doesn’t get as much attention as some other areas, and it certainly isn’t as flashy as the ruins in the Four Corners region, but the archaeology of Texas is actually quite interesting. The University of Texas has a great website called Texas Beyond History that provides a lot of information in an easily accessible. It wasn’t a major source for this post, but it’s still definitely worth checking out. We’ve been seeing a lot about Texas in the news lately, but there’s much more to it if you dig a little deeper. Chapter nine of Crucible of Pueblos looks at perishable artifacts (i.e., those made of materials that are often not preserved in the archaeological record, such as yucca fiber, animal hair, and cotton) during the Pueblo I period. Written by Laurie Webster, one of the most prominent experts on prehistoric Southwestern perishables, this chapter functions partly as an inventory and description of all known perishables from Pueblo I sites, and as such it is highly technical in nature and not very accessible for a casual reader. For this summary, therefore, I will focus on the high-level conclusions that can be made about Pueblo I cultural dynamics and relationships from the perishable evidence, rather than the evidence itself. Those conclusions are quite interesting, as it turns out, especially when it comes to the patterning of different types of artifacts. Webster covers several different types of artifact, but I will focus on two with the most interesting cultural implications: sandals and textiles. First, however, a note about the data. As Webster notes, the Pueblo I period has historically been poorly represented in the perishable data compared to earlier and later period that are known for extraordinary preservation from caves and rock shelters, especially the Basketmaker II and Pueblo III periods. People made much less use of caves and rock shelters during Pueblo I, and as a result many more of their perishable artifacts have, well, perished, and those that do survive are mostly in poor condition. Indeed, most of the best-preserved Pueblo I perishables are from areas like Tsegi Canyon and Canyon del Muerto in northeastern Arizona where caves did continue to be used in Pueblo I, although the Pueblo I occupation in these areas is poorly understood and it is not always clear that artifacts assigned to Pueblo I by early excavators really do date to this period. Luckily, however, the nature of perishable artifacts means that they can be directly radiocarbon-dated, and Webster mentions several examples that have been and many more that could be. With that caveat out of the way, sandals. These were generally made out of yucca fiber and appear to have been a key way people at the time signaled their cultural identity, based on the geographic patterning of different types, and they likely had symbolic importance as well at least for some groups, based on the elaboration of some examples, implying an immense amount of labor, as well as the depiction of sandals in rock art and the creation of clay effigies (often called “sandal lasts” although that doesn’t appear to have been their actual function). In particular, highly elaborate twined sandals were common in western areas during Pueblo I, a continuation of a tradition from Basketmaker times. Pueblo I examples are known from northeastern Arizona, the eastern slope of the Chuska Mountains in New Mexico, the Dolores area in Colorado, and Chaco Canyon. In contrast, only one example is known from the Animas River Valley, and none from further east, despite the large recent excavations in this area in conjunction with large development projects. A different type of sandal dominates in these eastern areas, a twill-plaited design that appears to date back to the Basketmaker II sites near Durango, Colorado. This type dominates in the Ridges Basin and Blue Mesa area of the Eastern Mesa Verde region and is also found in the Navajo Reservoir area further south, as well as at Grass Mesa Village in the Dolores area. The last is particularly interesting given that there is other evidence that Grass Mesa was settled by people from areas further east. It is also interesting that McPhee Village, also in the Dolores area, shows mainly twined sandals, again supporting other evidence suggesting western connections for this site. Similarly, the one site in the Animas Valley showing evidence for twined sandals also has other evidence of western connections. A third type of sandal, plain weave with a rounded or pointed toe, appears to also have a western distribution extending from southern Nevada to northeastern Arizona and southeastern Utah but not into Colorado or New Mexico. Less is known about this type than the other two and its cultural significance is not clear. While in general Webster concludes that Pueblo I perishables mostly continue Basketmaker III patterns without major innovations, she does note one major innovation by late Pueblo I: the increasing use of cotton. While many of the cotton textiles from northeastern Arizona attributed to Pueblo I have questions about their dating and associations, there is one example of a sash from Obelisk Cave in the Prayer Rock District (extreme northeastern Arizona) that has been directly dated to the AD 700s (early Pueblo I). One particularly interesting thing about this sash is that it actually consists of a mixture of cotton and dog hair, clearly showing the transition from animal hair and cotton for textiles. While the form of this item and the use of mixed materials strongly implies that it was made locally, it is not clear if the cotton was in fact grown locally or imported from the Hohokam in southern Arizona, who had a well-established tradition of cotton agriculture by this time. By late Pueblo I, however, there is strong evidence that at least some Pueblo groups were growing their own cotton. At Antelope House in Pueblo del Muerto, cotton cloth in contexts dating to the AD 900s was found along with cotton seeds and bolls, clearly implying that cotton was being grown in this area by then, as it continued to be throughout the Pueblo period. Interestingly, there is no evidence for Pueblo I use of cotton textiles further east, again implying some sort of major cultural boundary. This is in contrast to later periods, when cotton grown in northeastern Arizona was traded to various other parts of the Pueblo world. So anyway, those are the major points of interest about Pueblo I perishables. I find the most interesting point from the perspective of Chaco to be the fact that it patterns with the western rather than the eastern style of sandal, which reinforces other evidence for western connections for at least some of the people who came to Chaco in late Pueblo I and contributed to its rise into a dominant regional center in the northern Southwest. Chapter seven of Crucible of Pueblos brings us to the final geographical region covered by the volume: the Rio Grande Valley, at the eastern edge of Pueblo settlement for the period in question. As it happens, I’m currently visiting my mom in Albuquerque, so I’m actually in this region as I write this. (Today also happens to be my birthday; I’m 31.) The chapter is by Steven Lakatos and C. Dean Wilson, and in a lot of ways it echoes an earlier paper by Lakatos about the Rio Grande Developmental Period that I have discussed before. 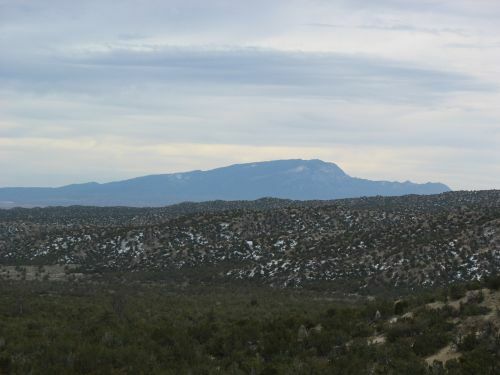 This chapter, however, discusses only the Early Developmental Period, defined as AD 600 to 900, and primarily focuses on the part of the region that the authors called the Middle Rio Grande Valley, defined as lying between the Rio Puerco of the East on the west, the Sandia and Manzano Mountains on the east, the Isleta area on the south, and the La Bajada escarpment on the north. This is because agricultural populations only occupied this restricted area of the region during the Early Developmental, expanding north of La Bajada only after AD 900 when there was a huge increase in regional population at the beginning of the Late Developmental Period. The key point Lakatos and Wilson make about the Rio Grande is that the Early Developmental period was a time of low population density and gradual growth, with little change in material culture over hundreds of years. This is in striking contrast to the “boom-and-bust” pattern now richly documented for the Mesa Verde region during the contemporaneous Pueblo I period there. 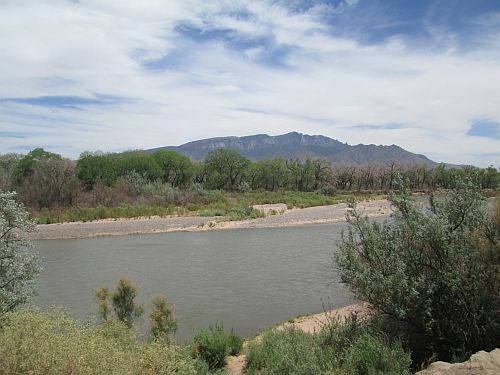 The picture of continuity is reminiscent of that proposed by the authors of the previous chapter for the Little Colorado region, but it’s worth noting that the major data gaps that plague the study of that region are less of an issue for the Rio Grande, which has a long history of intensive archaeological research continuing to the present day. Furthermore, Lakatos and Wilson present several lines of evidence supporting their conclusions, which seem pretty solid to me. Based on this evidence, it really does seem like the Early Developmental was a time of low population, slow growth, and cultural continuity. As Lakatos and Wilson note, this is actually a rather surprising conclusion in the context of many theories about early agricultural societies. Most strikingly, there is no evidence here for a “Neolithic Demographic Transition,” in which the increased productivity of agricultural societies compared to hunter-gatherers leads to massive growth among early agriculturalists, with all sorts of ecological and social consequences. Some have argued that the Mesa Verde boom-and-bust cycle is a result of this process. In the Rio Grande, however, the adoption of agriculture does not seem to have resulted in this sort of population growth. This is definitely not for lack of arable land, as the Rio Grande Valley is one of the richest agricultural areas in the northern Southwest, and it was intensively farmed later in prehistory and into historic times. Rather, Lakatos and Wilson argue that the richness of the Rio Grande environment allowed for a mixed farming-foraging economic pattern with high residential mobility, in contrast to the more agriculture-dependent societies further west. The greater importance of foraging versus farming is supported by evidence from faunal assemblages and wear patterns on human remains, and the mobility by the fact that residential pit structures were rarely remodeled. In keeping with low density and high mobility, the settlement pattern consisted of scattered hamlets, with only occasional evidence for “communities” of hamlets loosely grouped together with possible communal architecture such as “protokivas” or oversized pit structures. Sites were mainly located along the major rivers of the region: the Rio Grande itself, the Rio Puerco of the East, the Jemez. Architecture consisted of residential pit structures and surrounding activity areas, generally oriented toward the east or southeast (perhaps oriented to the winter solstice). Rio Grande people also appear to have been in closer contact with remaining hunter-gatherers than populations further west. It’s not clear if Early Developmental populations resulted from the adoption of agriculture by existing hunter-gatherers in the Middle Rio Grande Valley or if there was some migration of already agricultural populations involved, but in any case the areas north of La Bajada and east of the Sandias/Manzanos were definitely still occupied by hunter-gatherers during this period, and it’s clear that there was a lot of contact between the two groups. This may have contributed to the greater importance of foraging to Early Developmental people and their differences from other Pueblo populations. All that said, the Early Developmental people definitely were part of the Pueblo cultural tradition, and their material culture shows a lot of connections to populations to both the west and south. This is particularly true of pottery, which was dominated by plain gray ware similar to that of late Basketmaker groups on the Colorado Plateau, but with small amounts of a decorated white ware, San Marcial Black-on-white, which shows stylistic influence from Mogollon populations to the south but with technological characteristics more like those of early white wares to the west. Lakatos and Wilson mention one model of Southwestern prehistory under which early “strong patterns” of material culture originated in the San Juan Basin (ancestral to the Chaco system) and in the river valleys of the Mogollon region, with the Middle Rio Grande forming a “weak pattern” with influences from both but in varying combinations. The clear picture that emerges from this is of a small population of forager-farmers moving around within the Middle Rio Grande area but maintaining their basic cultural features with little to no change for about 300 years, from AD 600 to 900. Then, in a development that is likely very important but poorly understood, there was a massive increase in population at the same time that agricultural groups for the first time began to occupy the higher areas about La Bajada. Lakatos and Wilson note that the timing of this change, while not as precise as might be ideal, seems to correspond closely to the collapse of the late Pueblo I villages in the Mesa Verde region and the major population movements involved with the depopulation of that area, including the apparent influx of people into the Chaco Basin that likely laid the groundwork for the Chaco Phenomenon. It seems very plausible that the increase in population in the Rio Grande was linked to these developments, though exactly how is unclear. Material culture actually remained fairly stable and consistent with Early Developmental patterns across this transition, although architecture did become more standardized and San Marcial Black-on-white was replaced by Red Mesa Black-on-white as the main decorated ceramic type. The latter change, especially, suggests influence from the west, as Red Mesa is the main decorated type in the Chaco area and other parts of the southern Colorado Plateau during this same period. It’s possible, as Lakatos and Wilson suggest, that the increased population in the Chaco Basin directly spurred Middle Rio Grande populations to move northward, although it’s not clear how exactly this would have worked. Other possibilities are that populations from the intermediate areas, such as the Puerco of the East, began to move eastward in the Rio Grande Valley as a result of the population movements immediately to the west of them, perhaps pushing existing Rio Grande populations north, or that western populations were moving directly to the Northern Rio Grande area above La Bajada, “leap-frogging” existing populations in the Middle Rio Grande. The fact that material culture continued to show local Rio Grande features throughout the region, however, suggests that some level of assimilation or cultural accommodation between the locals and immigrants was involved, rather than a more directly confrontational situation. It’s noteworthy that Lakatos and Wilson don’t discuss evidence for warfare or defensive features at all, which of course doesn’t mean those things didn’t exist but does suggest that they may have been less prevalent than in some other regions. Another thing Lakatos and Wilson don’t discuss, but which seems particularly important to understanding these relationships, is turquoise, specifically that from the well-known mines in the Cerrillos Hills east of the Sandias. 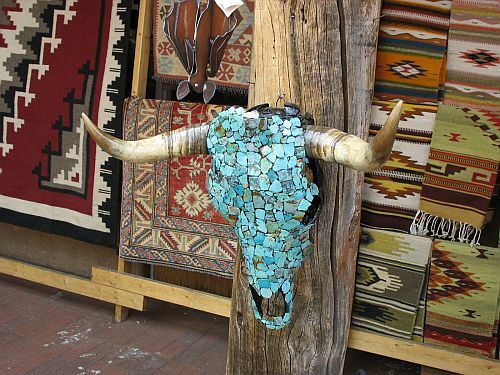 Turquoise is of course strongly associated with Chaco, and while not all of the turquoise there has turned out to be from Cerrillos, a substantial portion of it definitely was. Evidence for increased connections between the San Juan Basin and the Rio Grande area at the same time as the rise of Chaco as a regional center is very intriguing in this light. Could increasing demand for turquoise at Chaco have led to the Cerrillos mines being a “pull” factor leading western groups into the Rio Grande Valley? Could the mines have even led local Rio Grande groups, or mixed groups of locals and immigrants, to move further east, across the mountains and even up over La Bajada into the Santa Fe area, which may have become more attractive as increased immigration reduced the supply of land in the Middle Rio Grande? And what about those remnant hunter-gatherer groups east of the Sandias and north of La Bajada? What happened to them? Were they attacked and defeated by the encroaching farmers? Pushed out into areas further north and east? Assimilated into agricultural society, which even in the Late Developmental period had a strong foraging component? There are a lot of questions about this period in this area, and very little evidence on which to base any answers. Lakatos and Wilson recognize this and suggest some research directions that would be helpful in answering the remaining questions, although they don’t point out as many as I have here. Overall, this is a very informative chapter that brings into the discussion of Pueblo I societies an area that is often left out of these discussions. It’s an area of crucial importance for understanding regional dynamics throughout the northern Southwest, however, so I’m glad it was included in this volume. This chapter concludes the geographical summaries in the book; the remaining chapters cover various thematic topics of interest in understanding the Early Pueblo period as a whole. I was in Philadelphia for Thanksgiving, and the next day I went with my family to the quaint nearby town of Doylestown, where we visited two local museums: the Michener Museum (named after, yes, that Michener, who grew up in Doylestown and spent most of his life in the area) and the Mercer Museum. 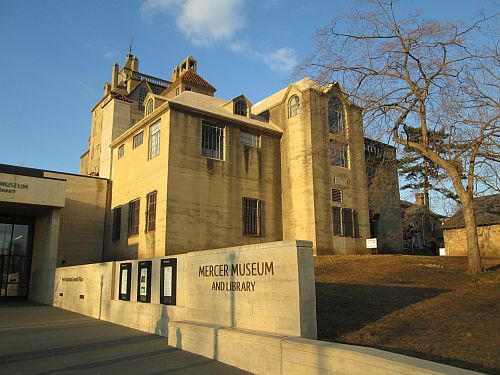 The Michener is basically a local art museum, and we went there to see an exhibit about Grace Kelly, who is a big deal in the Philadelphia area. Not really my kind of thing, but it was fine. The Mercer, on the other hand, is a really unusual sort of museum. It was established by Henry Mercer, a Doylestown native who had a variety of interests and a good deal of money with which to pursue them. He studied law but never practiced it, instead going into archaeology in the 1890s. I haven’t found much information about his specific contributions to American archaeology, which was in its infancy at that time, except that he apparently supported the authenticity of the obviously forged Lenape Stone that allegedly contains an image of a mammoth and is now part of the Mercer Museum collections (though not on display). In the late 1890s, however, Mercer came to the realization that the advancement of industrialization meant that most aspects of traditional life in the US were likely to disappear forever, and he began to collect what were then considered mundane objects for the museum of the Bucks County Historical Society. He collected huge numbers of things from all aspects of pre-industrial life, over time branching out to the US as a whole and eventually other parts of the world as well. His collection got so big that he built a new building to house it, using an innovative design and construction approach using poured concrete. He organized the collection thematically by the sorts of societal needs that objects served, and put together display cases by category. The museum is still much as he designed it, although there have been various changes over the years. It’s a fascinating place, idiosyncratic and full of extremely detailed information. What I found especially interesting, however, was the way the museum’s own self-descriptions explicitly tied Mercer’s collecting of what most people considered “junk” to his earlier interest in archaeology. That is, one way to see what Mercer was doing was taking an archaeological approach to studying and preserving the material culture of the present and recent past, to ensure it would be understood in the future. This approach was quite ahead of its time for both history and archaeology, and the museum that resulted is fascinating and well worth a visit.